On International Midwives Day, May 5, the Michigan Midwives Association (MMA) hosted a variety of activities. Two of my favorites—out of several wonderful events—are these. Last year, the President of the International Confederation of Midwives (ICM), Bridget Lynch, invited midwives of the world to “Walk the Road to Durban” in preparation for the triennial meeting in June 2011. This is the first time in history that the ICM Congress is being held in sub-Saharan Africa. The Congress will be taking place in an area of the world with the highest rates of maternal and newborn morbidity and mortality. With only five years left to achieve the United Nations Millennium Development Goals and improve maternal and newborn health globally, now is the time to highlight the central role of midwives in achieving these goals! 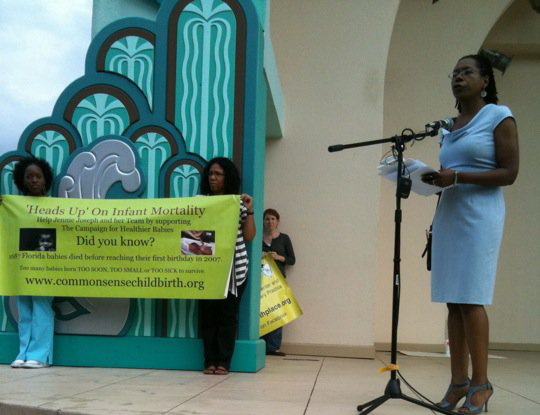 Contributing author, Jennie Joseph, speaks at a rally in Florida at a "Road to Durban" rally. The Road to Durban starts at each midwife’s front door. The ICM called on midwives and ICM’s 99 Member Associations, in 90 countries, representing more than 250,000 midwives, to organize 5 kilometer walks in cities and towns across all of our countries on the International Day of the Midwife, 5 May 2011. 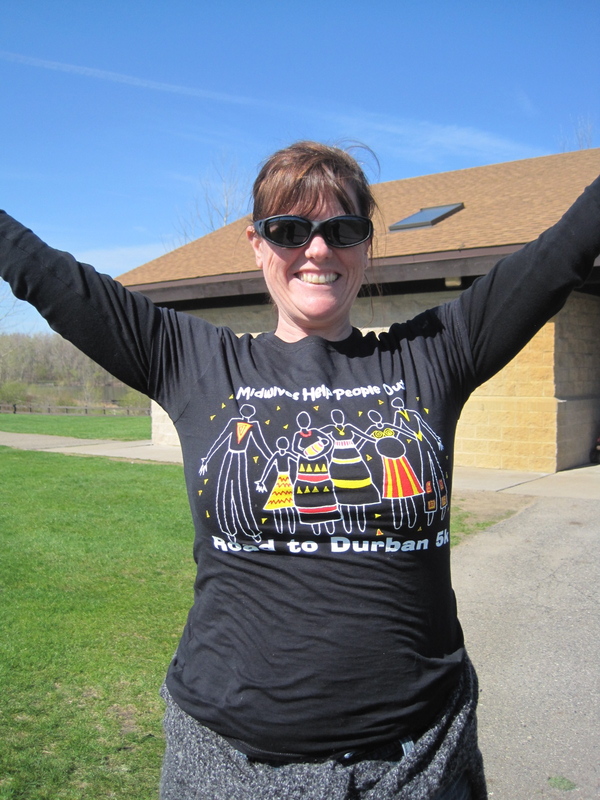 All across the globe people walked the “Road to Durban.” Midwives, students, and supporters in Michigan participated in a rally and 5 kilometer walk/run in Lansing, our state capital. Later, we had a benefit concert with Rachel and Dominic Davis. I was the midwife for Rachel’s little brother, Ezra. Six weeks later, on June 18, 2011, when the midwives of the world gather in Durban, South Africa for the ICM Congress, we will complete our walk with a 5 kilometer march into the city in celebration of our commitment to improving maternal and newborn health globally. The walk will take place the day before the opening of the ICM Congress. Most importantly, as we walk with our families and supporters into Durban, the midwives of the world will be walking in solidarity with the midwives of Africa and highlighting the need to strengthen midwifery across the African continent. I will be there—and I will be wearing my MMA T-shirt! 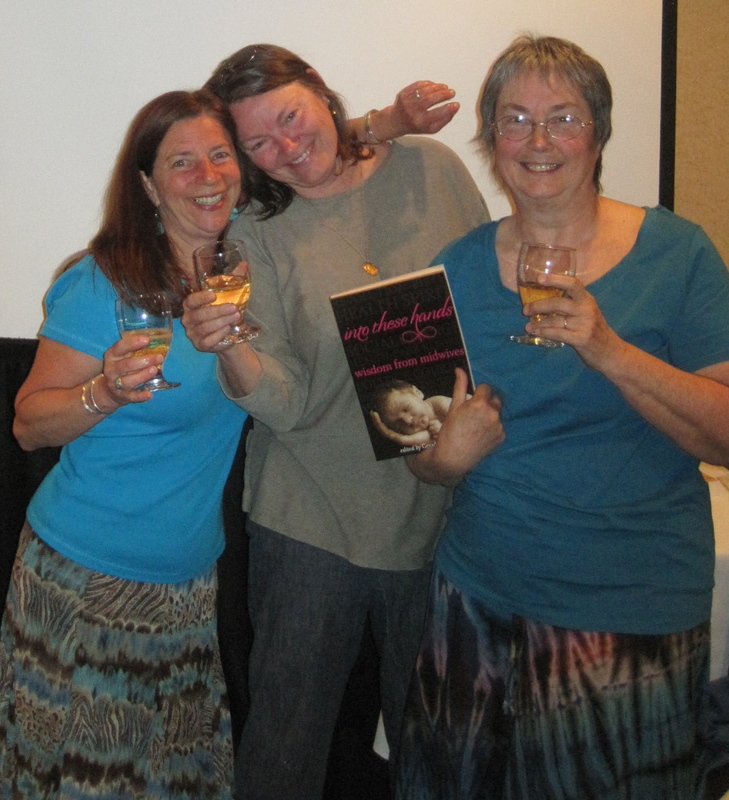 On Friday night, May 6, 2011 the Michigan Midwives Association (MMA) hosted a presentation on my book and a gala book-signing event. Two more contributing authors—Kip Kozlowski and Patrice Bobier—got to share their perspectives on the process of reflecting on their lives as midwives and writing their life stories for Into These Hands. We also got to celebrate with our colleagues and friends from the MMA. It was loads of fun with laughter, tears, Champagne and lots of book sales. I want to thank my friends of MMA for their love and support. I also want to let you know that two more Michigan midwives are also contributing authors for Into These Hands—Rondi Anderson and Casey Makela. Unfortunately, they were not able to attend the book-signing event, but we did read excerpts from their inspiring memoir essays.